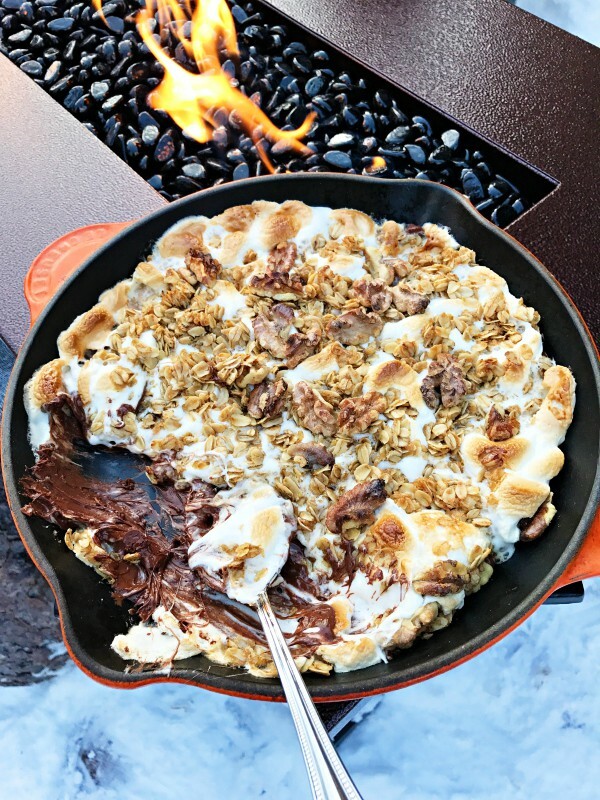 GAME DAY, camping, or party dessert: SKILLET S’MORES RECIPE, baked in 10 minutes or over a campfire. 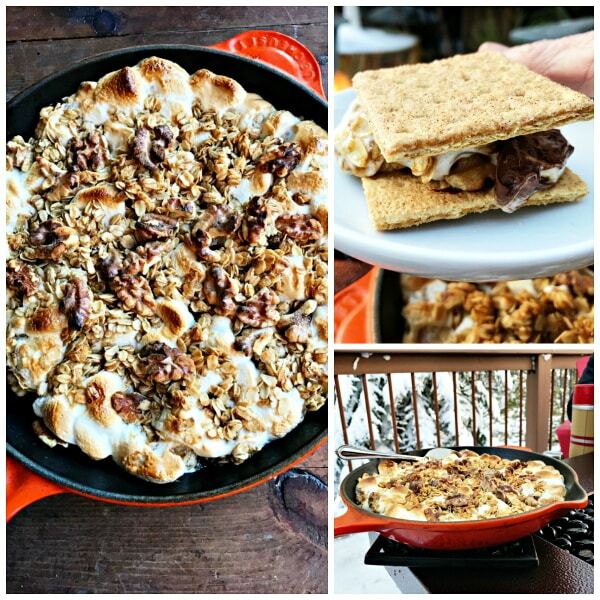 Serve HOT & GOOEY with graham crackers, gingersnap cookies, or apple and pear slices! 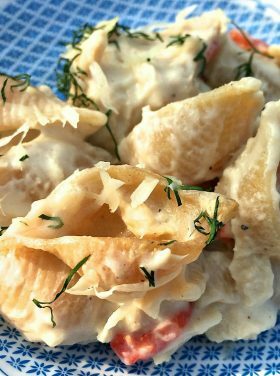 Watch the video below to see how easy this recipe is! 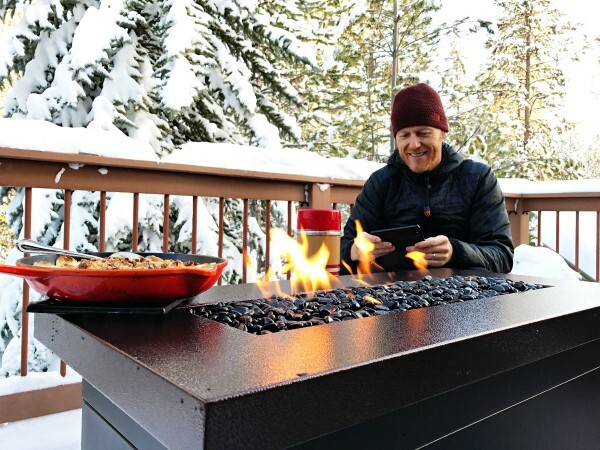 Friends, ’tis the season to bring your family and friends together to relax and enjoy these beautiful days we’ve been given, and in our case here in Bend, the snow! 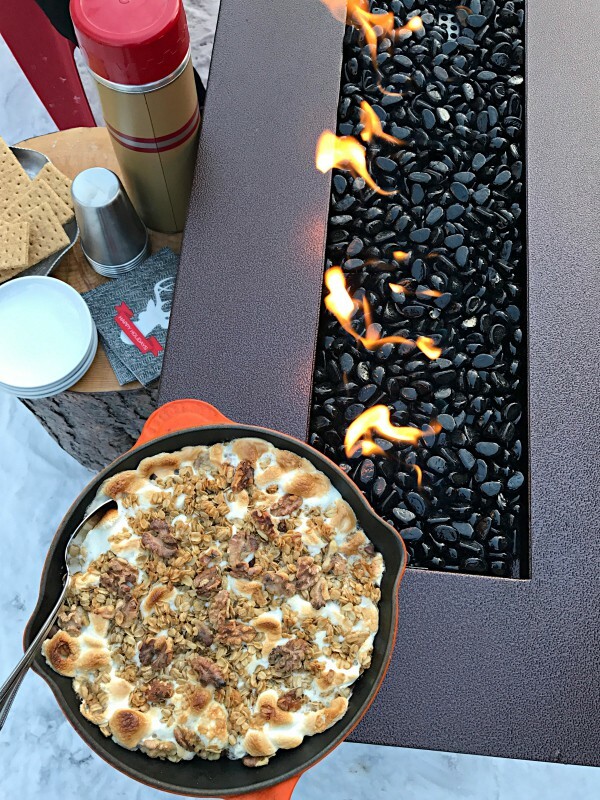 Today I’m sharing details about our new Monterey Fire Table (from Camp Chef), plus a fabulous holiday dessert, Skillet S’mores Recipe! This past week we had record snow in Bend, and being gone to Medford for the week to visit, our boys were left home to shovel and blow the snow, and keep warm in our snuggly, cozy mountain home. What we didn’t know was that the whole town shuts down when it snows at least 2 feet of snow. Coming home, we couldn’t wait to make some new holiday memories with our kids, and the friends coming into town for Christmas! So we got the key ingredients ready for a fun family treat! 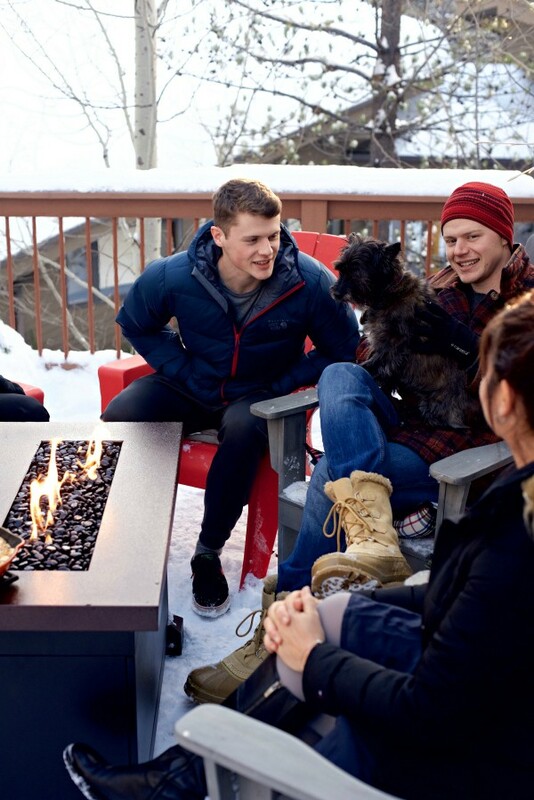 This Monterey Fire Table has the warmth and elegant design to enhance any patio. There’s a black fire glass that makes for a clean, beautiful flame, with a “bed of ashes” look. The matchless ignition system and internal propane tank storage add the finishing touches on the Monterey, making it convenient and simple to use. There’s a fully adjustable heat-control knob, with a built-in propane tank compartment that holds a 16″ standard bulk propane regulator and hose. 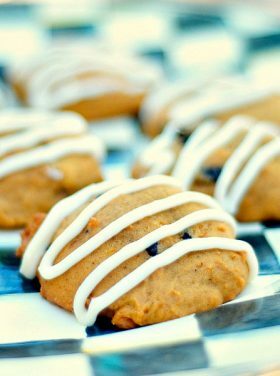 Looking for a simple dessert to feed a large group? 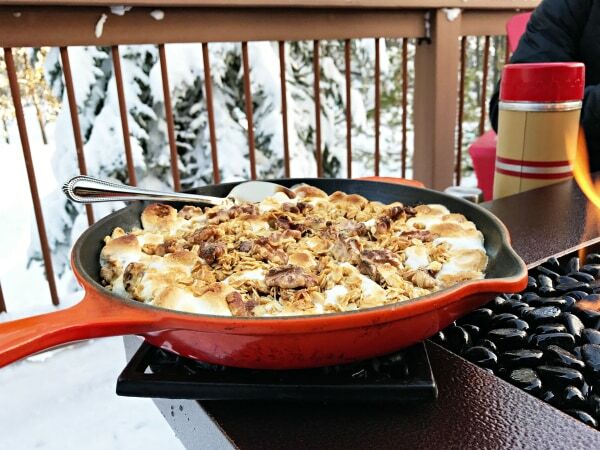 Then you’ll love these Skillet S’mores. 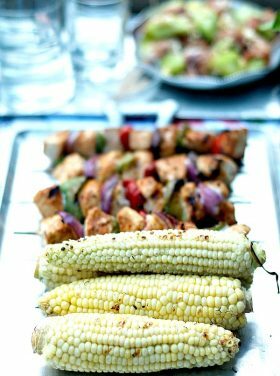 With only a few ingredients and a cast iron skillet. Put together a quick crumble of oats, brown sugar, and butter. And in little time, you have a hot, gooey, delicious dessert to serve with graham crackers. If you use large marshmallows, cut into fourths. Otherwise use small. 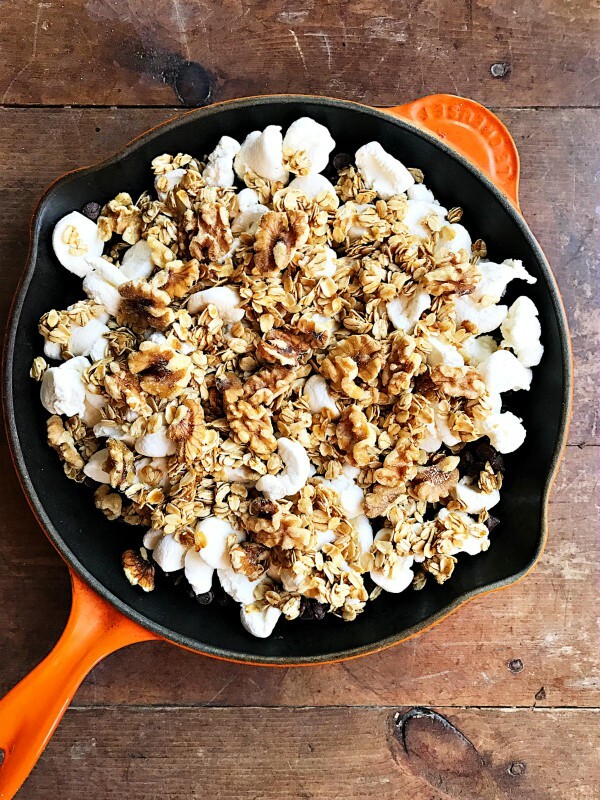 In a 10-inch cast iron skillet, place the chocolate on the bottom. Sprinkle marshmallows on top. In a small bowl, mix together the oats, melted butter, and brown sugar. 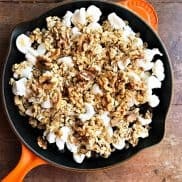 Crumble together and place on top of the marshmallows. 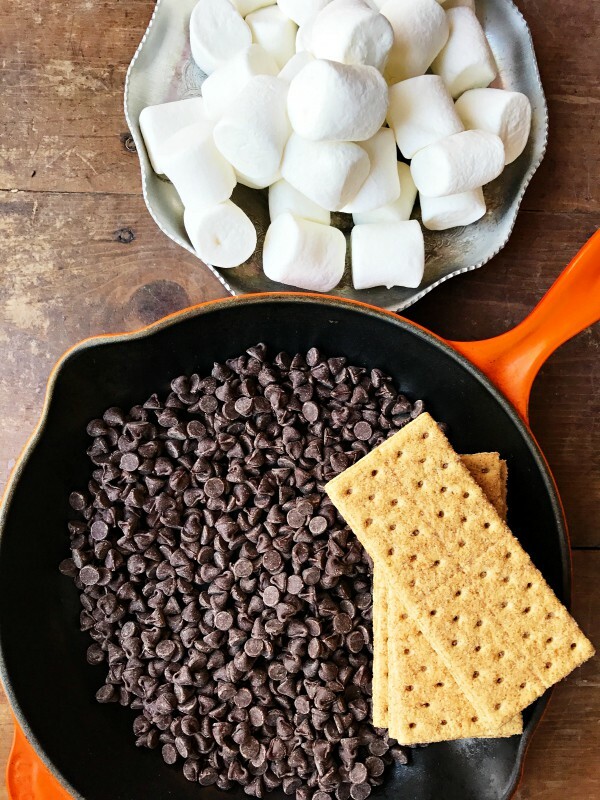 Bake for 5-10 minutes, until marshmallows are toasted brown on top (and chocolate melted). Let stand for 5 minutes before serving with graham crackers! ENJOY! 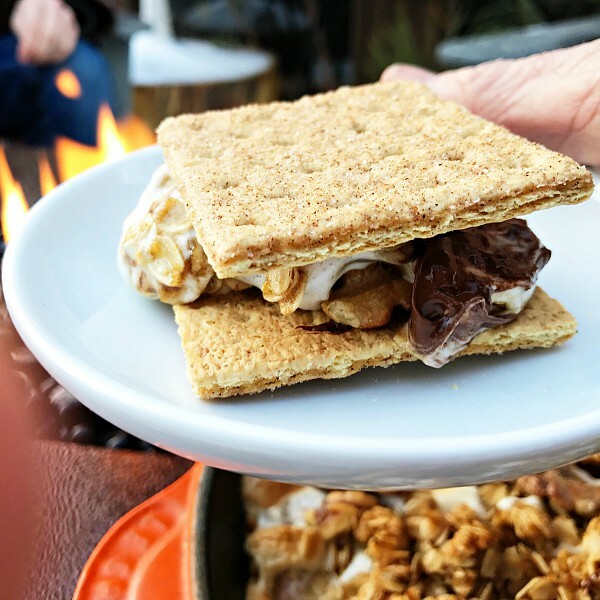 More S’mores desserts: Peanut Butter Cup S’mores [Boulder Locavore], S’mores Icebox Cake [Amanda’s Cookie], Triple Chocolate S’Mores Cookies [Barbara Bakes]. This post is sponsored by Camp Chef. We’ve used their products for years, especially for camping. As always, all opinions are my own! 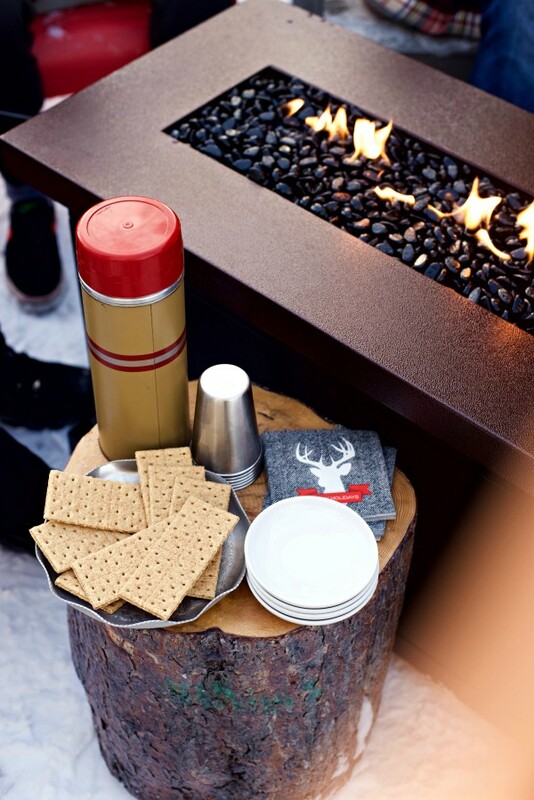 That is a clever idea for smores! Love it. And the fire table is awesome too! I like that the propane tank is hidden! All that snow….aaahhhh…beautiful! Bet your adventurous boys are having a blast. 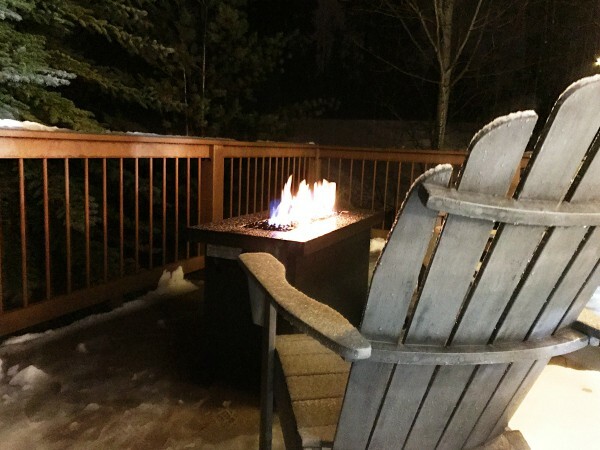 You all are hearty souls – even with a fire it would be too cold for me to sit outside! The fire table looks lovely, though. Nice to see your family together. I thought one of your sons moved to China?